According to recent analysis of the LTC price charts, the price of Litecoin, as well as its hash rate and demand have declined barely five months to the date set for Litecoin halving. 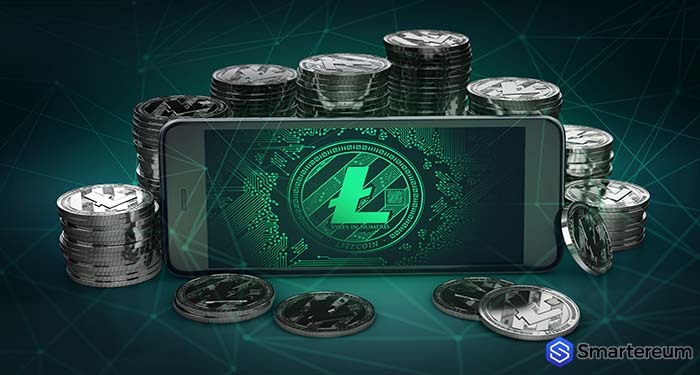 The direct connection of the hash rate to prices means that Litecoin network remains secure as miners continue to use their computing power in search of profit. When it comes to spot rates, Litecoin (LTC) is up 3.6%. The price of Litecoin from yesterday showed the digital asset was in bearish territory. The price of Litecoin had taken a hit moving downward after the bulls reached $96 and $92 both of which are resistance positions. We can also recall from April 14, $84 a resistance level was tested and resisted by the bulls. LTC/USD eventually fell below the 12 and 26-day EMA to $76.76. The price of Litecoin went on to end yesterday trading below the EMAs indicating that prices will fall in coming days. Cumulatively, Litecoin is on the rise following last week’s correction. Litecoin (LTC) is up by 3.6% in the day before but down by 11.1% from last week’s close. To forecast that LTC will lead other digital assets would be viewed as a long shot months ago. However, following a solid Q1, yesterday’s bounce off $75 plus the recovery of Bitcoin Cash added $5 billion to the entire market. One attractive observation is the steady increase of Litecoin’s hash-rate. Going by historical patterns, hash rates rise with prices. Hence, for spot rates, LTC is up 4 times from the lows in December of last year. We expect Litecoin (LTC) to also move higher in this aspect thanks to its coupling with Bitcoin (BTC) which has drawn much attention following BTCs close above $5,000 from last week plus other fundamentals like the August 6 scheduled Litecoin halving. According its design, Litecoin (LTC) reportedly halves at every 840k blocks. After this pattern, miner rewards drop by 50%. It is the type of scarcity that occurs after this event that analysts believe will take the next higher highs near $150 as the bulls flow back and reward hodlers. Despite the recent positive movements since the month of April, the price of Litecoin appears to be taking a hit. When you look at the 1-hour chart for LTC/USD, you will see the price of Litecoin is in the bearish trend zone. At first the bears managed to break the 12 and the 26-day EMAs to achieve this. This led the price of Litecoin fall to to a low as $76.76. After this it commenced a bullish price movement. The price of Litecoin also reached the 26-day EMA a price point which was resisted. It is highly likely to continue falling in coming days. Meanwhile, the MACD and signal lines are below the zero pattern indicating a sell signal. The price of Litecoin is also below the EMAs indicating that prices are in bearish territory. As of press time according to data given by CoinMarketCap LTC is trading at $79.68.